This Privacy Notice describes the PICSE policies with respect to the personal information that it collects through the Site or when it communicates with its users (“you” or “user”), and the choices that are available to its users. “Personal information” means any information that relates to an identified or identifiable individual. This Privacy Notice applies solely to personal information that PICSE collects through the Site or through electronic communications that you send to PICSE as indicated on the Site. It does not apply to the websites of third parties, such as business partners or sponsors, to which the Site may link. 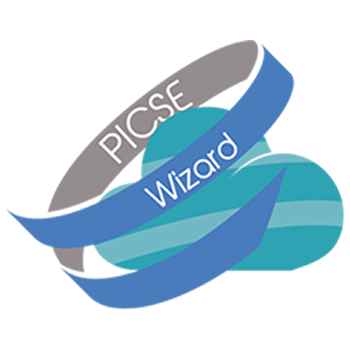 PICSE does not endorse, and is not responsible for the content of these third party websites or their policies or practices. Personal information about you -- The Site is designed to allow users to browse through it without providing any contact information. However, certain areas may require, or allow for, the submission of personal information, such as when you fill out a newsletter form or contact us. We collect the personal information that you provide when you contact us, for example, your name and contact information. Children -- The Site is not directed to children. PICSE does not knowingly collect personal information from children. Log information -- Our server software automatically gathers general information from all users. For example:IP address, computer type, screen resolution, OS version, domain name, location, date and time of the visit, page(s) visited, time spent on a page, website from which the user came, action taken by the user when leaving our Site. Some of this information is provided directly by the user’s browser, the remainder is obtained through cookies and tracking technologies. For more information, see also the Cookies Notice. Statistical analysis -- We use aggregated data about Site usage (which do not identify a specific user), such as the number of users who have visited certain pages of the Sites, or how long users are spending on a particular page, in order to develop statistics on the use of our Site, so that we can understand how users interact with the Site, and improve our Site and the content, products or services that we provide through the Site. For more information, see the Cookies Notice. Service providers -- We may share personal information with entities that provide services to us, such as communications, database management, event planning, hosting, mailing, and marketing. These entities are required to use personal information only for the purposes for which we have engaged them. Business transfers – In the event of the transfer or other disposition of any portion of PICSE’s assets, we may transfer personal information to third parties, in preparation for, or as part of the sale, transfer, or disposition of PICSE’s assets. Law enforcement; compliance -- We may use or disclose personal information to any third party (a) if we believe that we are required to do so by law; (b) to comply with legal process or respond to requests from governmental or public authorities; (c) to prevent, investigate, detect, or prosecute criminal offenses or attacks on the technical integrity of our Site or network; (d) to enforce our Terms and Conditions; or (e) to protect the rights, privacy, property, business, or safety of PICSE, its business partners, employees, members, Site users, or the public. Unless this is prohibited by applicable law, we will let you know if a third party requests access to personal information about you. You have the right to have access to the personal information that we hold about you, and to have this information corrected, amended, or deleted as required by law. To do so, please contact us as indicated in the “How to contact PICSE” section below. However, please be aware that in some cases, the administrative and technical burden associated with the retrieval of archived data may be substantial. We would need to be compensated for this effort in a manner that is consistent with our actual cost. PICSE seeks to adopt commercially reasonable security measures consistent with industry practice to protect personal information under its control against loss, misuse, and alteration. However, we cannot guarantee the security of our servers, the means by which personal information is transmitted between your computer and our servers, or any personal information that we receive through or in connection with the Site. We may, at our discretion, store, and process personal information in countries other than your country of residence, and these countries may provide a different level of data protection than that which is provided by your country of residence. By using the Site, you acknowledge and consent to the fact that the personal information that you provide to us or that we collect through our Site may be stored and processed in countries other than the one in which you reside. PICSE does not represent or warrant that the Site is appropriate or available for use in any particular jurisdiction. Those who choose to access the Site do so on their own initiative and at their own risk, and are responsible for complying with all local laws, rules, and regulations that apply to them. If you have any question, comment, or complaints about this Privacy Notice, or the use, management or disclosure of personal information collected on or through our Site, please contact us at info@picse.eu. We update this Privacy Notice from time to time. If the changes are significant, we will post a prominent notice on this Site for a reasonable time to notify you of these changes. Unless, and until, you object in writing, by contacting us at info@picse.eu, all changes will apply to the existing information about you that PICSE already holds, and the personal information collected from the effective date of the revised Privacy Notice. Your use of our Site following the effective date of any revision will constitute your acceptance of the terms of the updated Privacy Notice. If you have any questions, comments, or complaints, regarding this Privacy Notice, or our privacy, security or data protection practices, please contact us by email at info@picse.eu. This Site is operated by Trust-IT Services, one of the main contributors to the PICSE Project.